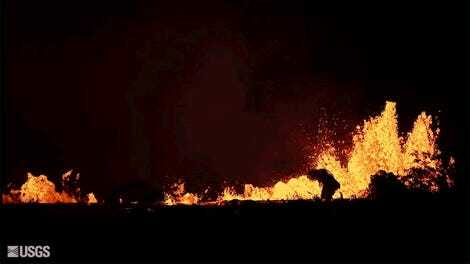 Kilauea’s days of pumping old, stale magma to the surface are officially over and done. According to scientists with the US Geological Survey (USGS), the volcano is tapping the hottest, freshest magma it possibly can, which is making for some frighteningly fast-moving flows. 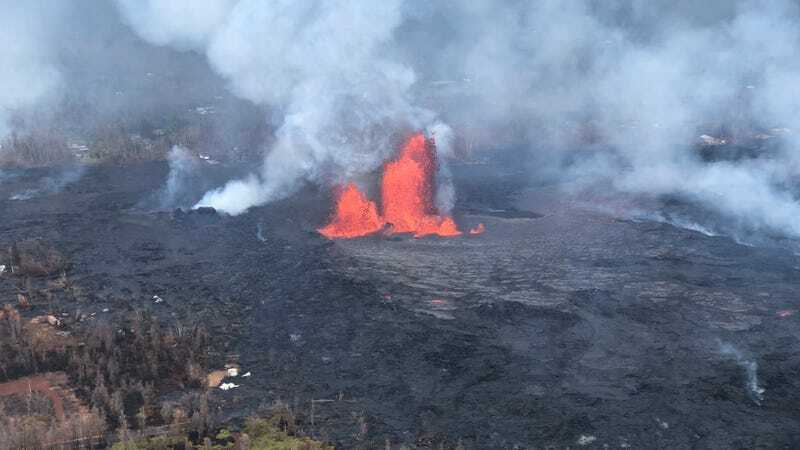 On Wednesday, the USGS Hawaii Volcano Observatory reported epic, 200-foot tall lava fountains erupting from Fissure 8 in the Lower East Rift Zone. In the early hours of the morning, that lava was gushing downslope toward the Kapoho area to the east of Leilani Estates at an astonishing 600 yards per hour. Lava advance rates at Kilauea are highly variable, ranging from a few yards per hour to several hundred, but this is among of the fastest we’ve seen yet. As Honolulu Civil Beat noted, it translates to approximately six football fields worth of land getting covered with molten rock each hour. 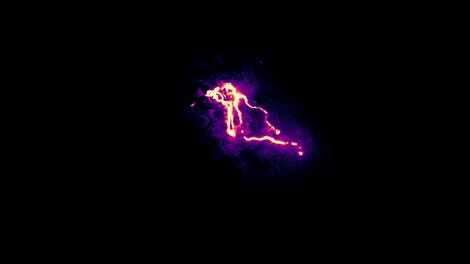 This incredibly swift-moving flow, plus the bright yellow nature of the erupting lava, signals to scientists that Kilauea is drawing on the freshest magma it has at its disposal—stuff that’s exclusively from uprift near the summit crater and deep within the mantle. According to Stovall, this mantle-derived lava is the hottest we’ve seen so far during this eruption, and the hottest we’re going to see. “The composition of the rock itself will not heat up beyond what we’re seeing erupt on the surface,” she said. While Stovall couldn’t say exactly how much things have heated up over the past few days—and Kilauea’s been no slouch, with lava temperatures typically hovering just shy of 2,200 degrees Fahrenheit at eruption—she emphasized that even a relatively small uptick in the mercury matters. “Even just a matter of 50 degrees Centigrade [90 degrees Fahrenheit] makes a big difference in how quickly lava flows can move and how they behave once once magma exits the vent,” Stovall said. According to the latest update from the USGS Hawaii Volcano Observatory, the lava flow Fissure 8 is feeding has slowed to less than 50 yards per hour, although fountains are still reaching up to 250 feet high, a sign that the eruption of fresh, gas-rich magma isn’t slowing down. There’s still no indication of when the nightmare might end for residents of Hawaii’s Lower Puna community, many of whom have now been living out of shelters for weeks. Wednesday’s activity prompted another spate of evacuation orders as lava traveled northeast along Highway 132—a key access road for communities along the Lower East Rift Zone—threatening to trap residents of Kapoho Beach Lots and Vacationland with no escape route. According to CNN, Hawaii County Mayor Harry Kim said those who choose not to heed evacuation orders are on their own.